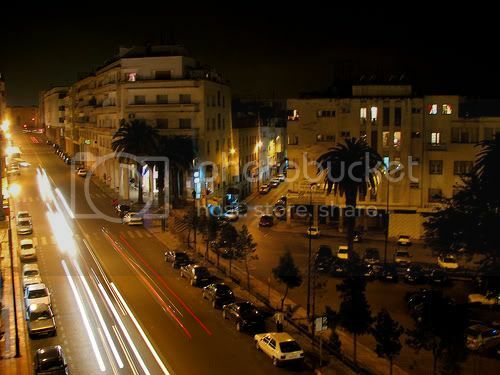 Taking in the best of Rabat in 24 hours or less is really quite simple. In doing so, you can get a bit of history, leisure, shopping, and a couple of great meals packed into one adventurous day. To begin your day, try breakfast at La Comedie Pastisserie in the heart of the medina for gorgeous pastries with tea, coffee, or fresh juice. 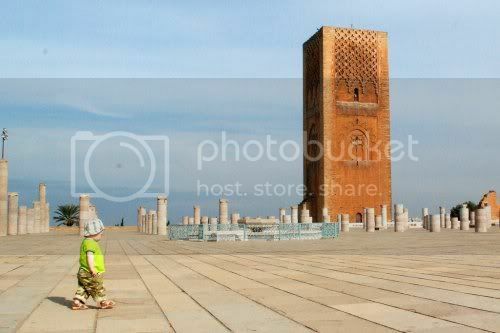 From there, you can walk or take a taxi (about 10 DH) to the Mausoleum of King Hassan II and King Mohammed V. There as well is the awe-inspiring height of the Hassan II Tower, the views of Rabat and Sale, and the intricate tile fountains. Ladies wanting a bit of local culture can stop just outside the complex for a bit of henna on their hands or feet. After taking in the sights of the Mausoleum, head over to the Oudaiya Kasbah to walk the garden, browse in the museum (12 DH entrance fee), and have a cup of mint tea at the Kasbah Cafe. Here you will find great views of Sale, and local and tourists alike enjoying the setting including a few artists painting and drawing the scenery of the bay and Sale in the distance. From here, you'll have to pull yourself away from the serenity to head back towards the medina. Walk along through the calm, covered souk full of Moroccan artisans with leather goods, paintings, hand-woven rugs and home décor. Further along, you'll enter Souk Semarra for an authentic souk experience. No need to stop for anything at this point. When you reach the near end of Souk Semarra, try Snack Al Alam Cafe & Restaurant for a hearty lunch of tagines, brochettes, paninis, or harira. After lunch, head back into the souk and shop to your heart's desire. The souk is one long row, but there are plenty of alleyways to duck into and some of the small openings in the store fronts lead to courtyards with many little stores tucked inside. After shopping, head back out to the intersection between Mohammed V Avenue and Hassan II Avenue for ice cream at Sheherazade, or a glass of fresh squeezed orange juice. A short walk along Hassan II Avenue back towards the Mausoleum (but way before it), take refuge in the shade trees of the garden park and have a much needed rest from a day of sightseeing and shopping. If this isn't enough to wear you out, or you have time for a light dinner before you depart, Shawarma Chliha has the best (and biggest) shawarma in town. 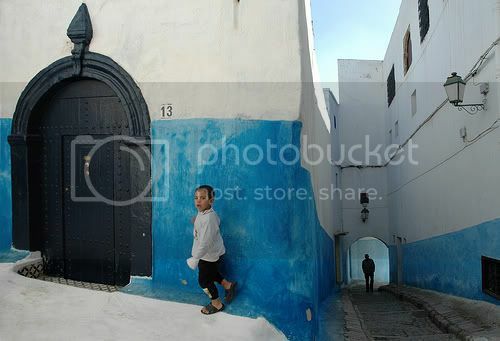 You'll find it between the movie theater and small white mosque on Hassan II Avenue. There are a few cafe tables outside to sit and eat or you can have it wrapped to take with you. If you are feeling a bit more adventurous in the culinary department, a bowl of escargot (snails) in a spicy broth is also a good choice for a light dinner. If you're traveling by train in or out of Rabat, you'll be able to see the mosque, the Parliament building and the palm tree lined main Mohammed V Avenue. It's a great place to take a few final photos before you depart or head back to the hotel for a rest after a long day. However, if you want to keep the party going you can check out one of Rabat's many night clubs. Biba Beach & Jefferson are especially popular, or yo can stick to Bar Balima in the heart of the medina. Most people find the bars relatively inexpensive without steep cover charges or high drink prices. Other people are two wiped-out at the end of the day and prefer to stick to their hotel bar for a nightcap before heading to bed. The choice is certainly yours!